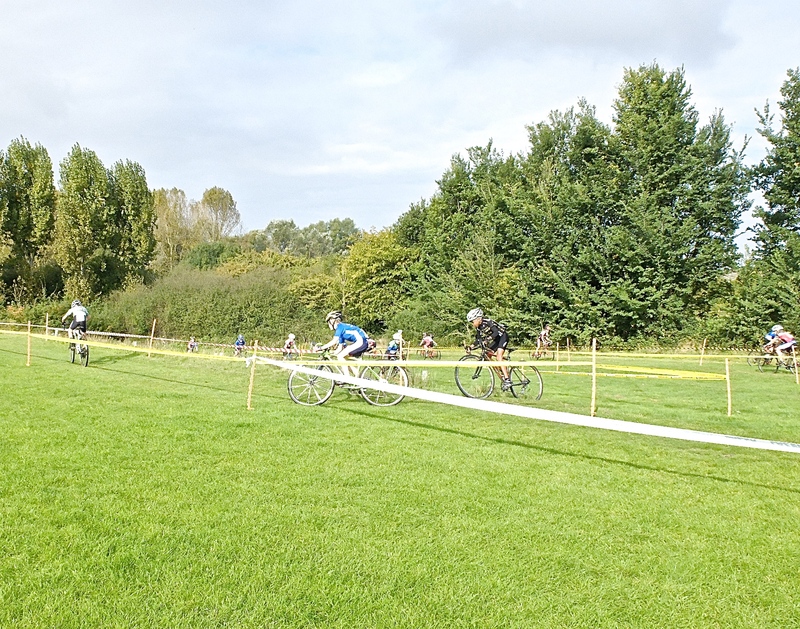 Steve McQueen once stated that life was about racing and everything in between was just waiting… Well CJ waited out the week with no training sessions and therefore could not wait for the Eastern Cyclocross League’s first weekend double header. 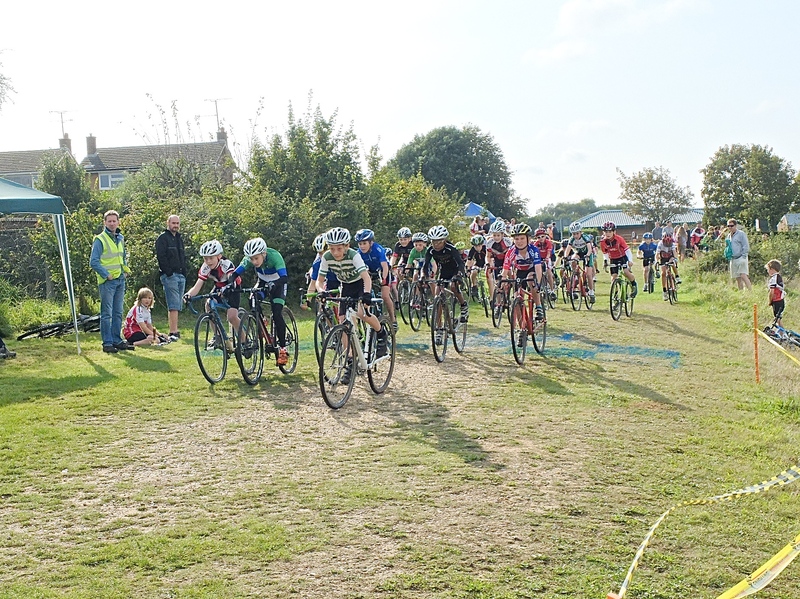 Plus, the Friday night before the eagerly anticipated Hoggenberg Cross at Hog Hill, a taster video of the course was dropped on Facebook and that also sent his excitement levels off the radar… You can take the boy off the bike, but you can’t take the bike out of the boy I guess. 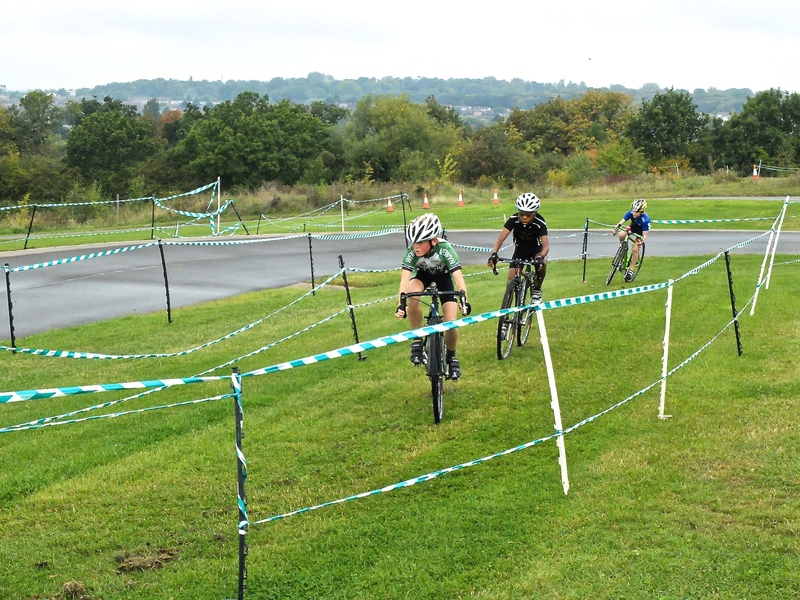 Yes, Lee Valley Youth Cycling Club had put together a real technical circuit that would test the racers and CJ was ready (or not). 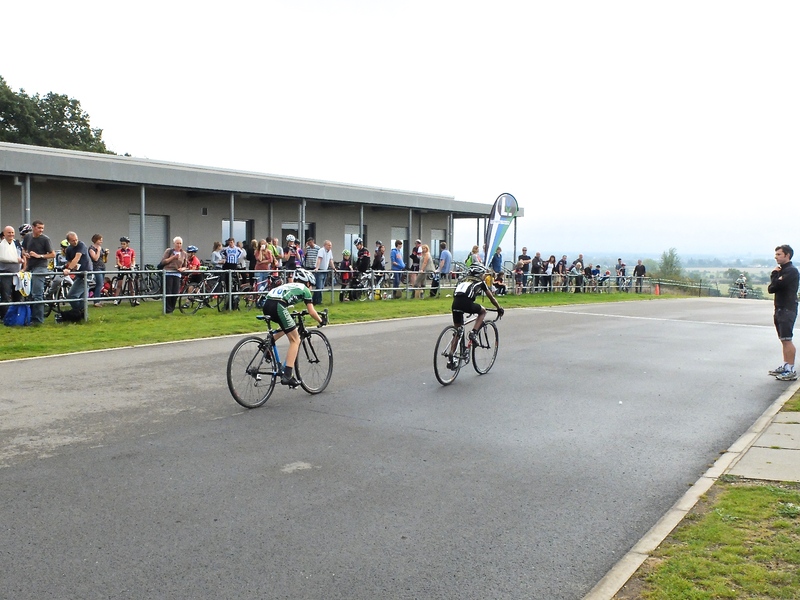 From the drop he went into third position behind James Fraser (CC Ashwell) and Alex Dale (LVYCC) for half a lap before Joe Kiely (Welwyn Wheelers CC) pushed his way to the front where he remained pulling a strong lead. 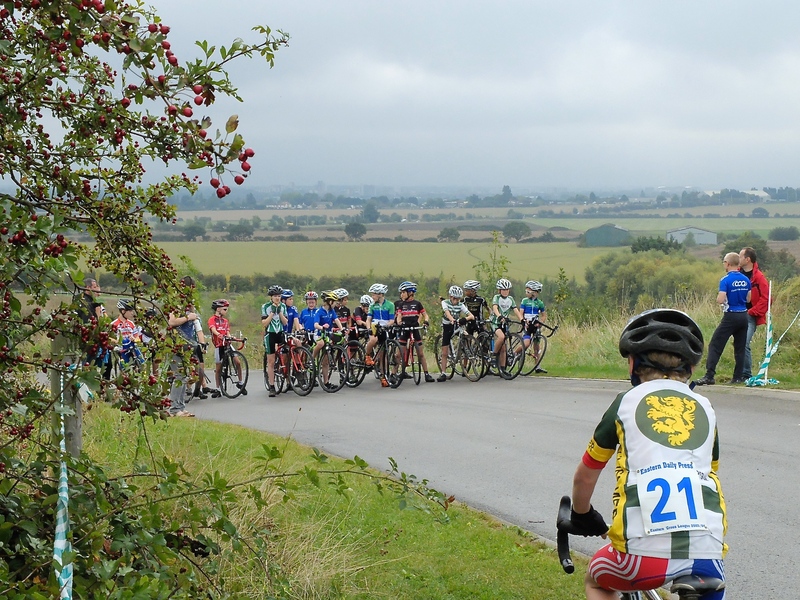 Eventually CJ and Fraser made a gap on the chasing group but were soon joined by Tom Davies (Welwyn Wheelers CC) and the trio extended their lead before Davies pushed ahead taking CJ with him. 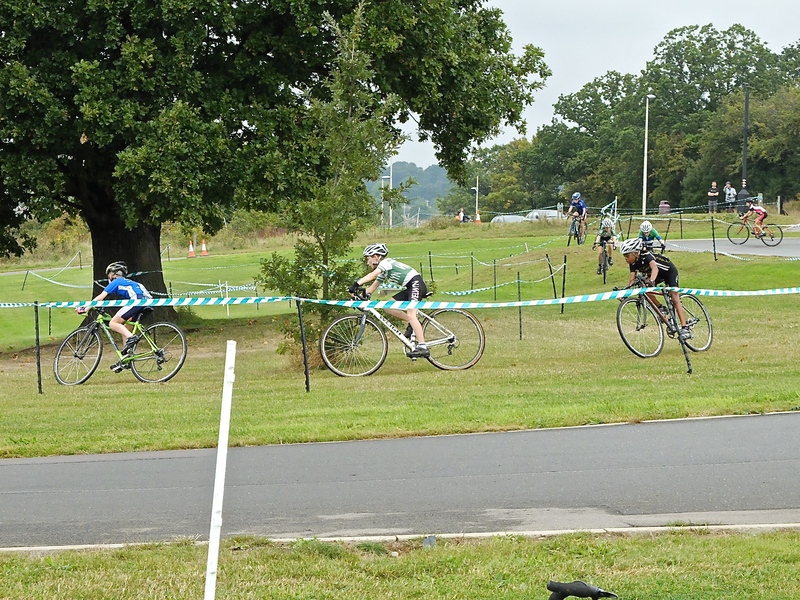 For the next few laps CJ held station on the Davies wheel making no attempt to pass but on the last lap tried to forge ahead though the Welwyn racer had other ideas as he upped his overall pace. It was now going to go down to a sprint and CJ timed his run out from the gravel section to the road finish taking his first 2nd placing in the League. Upon arrival we knew that the race was going to be tough with strong winds, long straights and equally long grass to plough through. CJ’s flyweight frame was going to be a disadvantage against the stronger second year under 12’s with not enough technical sections where he could use his skills as an equaliser. But as they say ‘horses for courses’ and he would have to adapt and dig deep for this one. 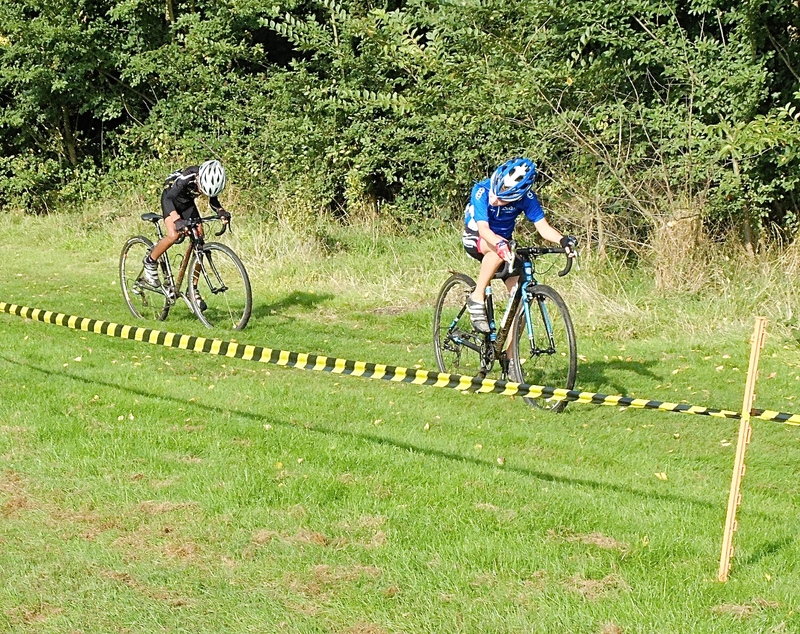 From the gun CJ hit the first corner in third behind Joe Kiely and James Fraser but before half a lap was out he was being dropped by the big dogs and eventually caught by Archie Foulkes (CC Ashwell). By lap two Foulkes was pulling away and CJ was being dropped though by the next lap he made contact again, but down the straights he struggled to hold the wheel. Thankfully the Eastern League takes a two week break before heading to Hertfordshire and CJ hopes to get back on the podium if possible with some hard work over the coming fortnight. ← MEET THE KARVS – KENDA KARVS…… GRASS TRACK RACING TYRE..?